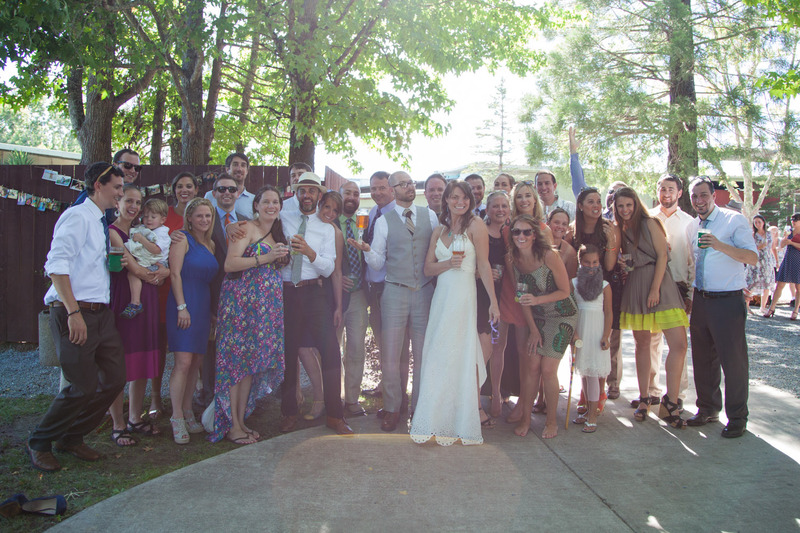 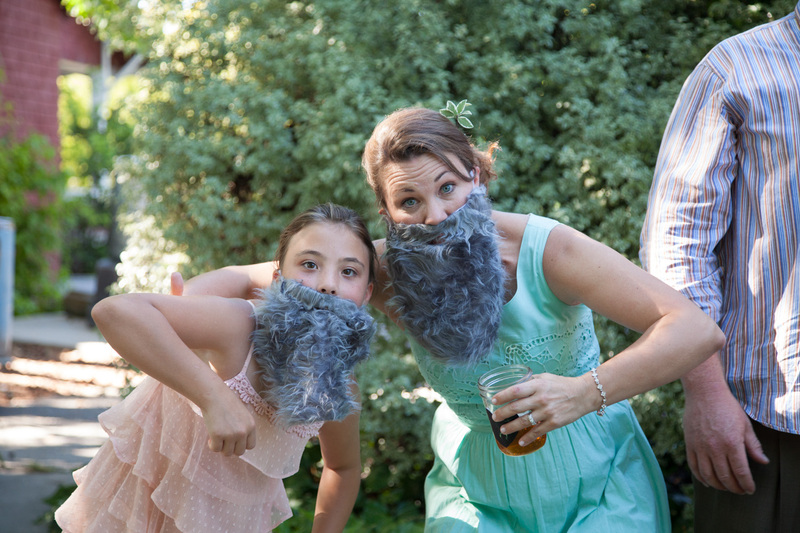 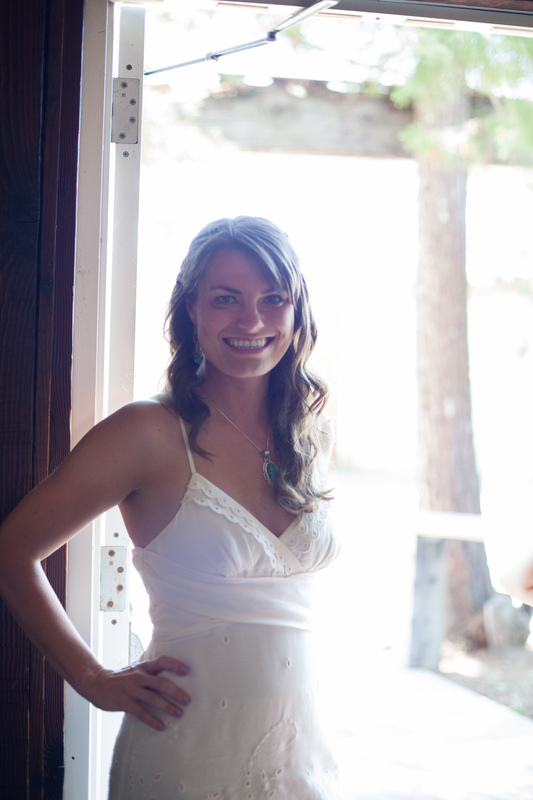 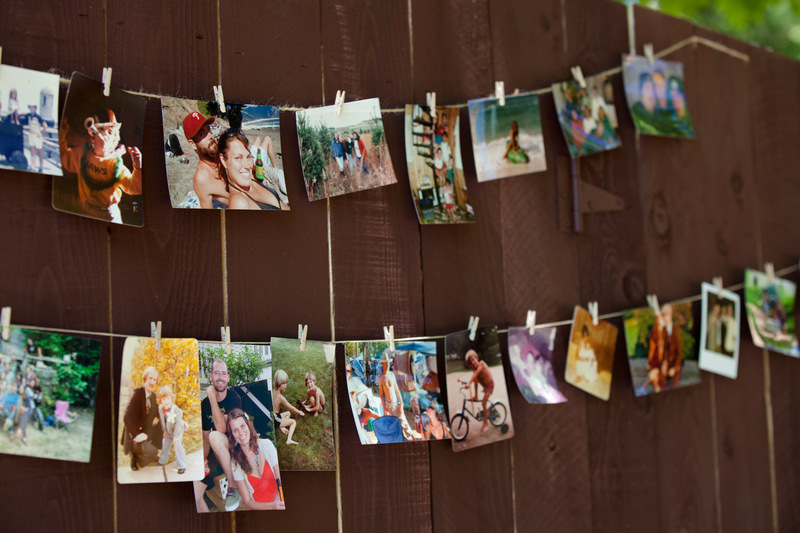 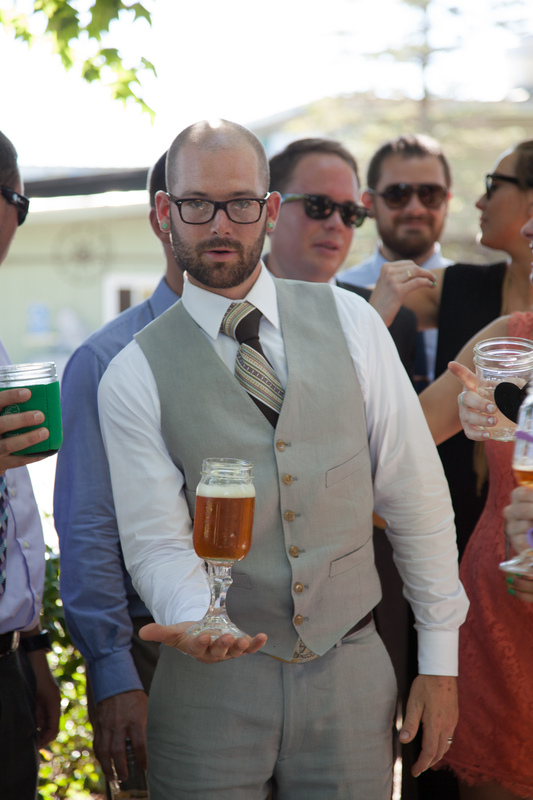 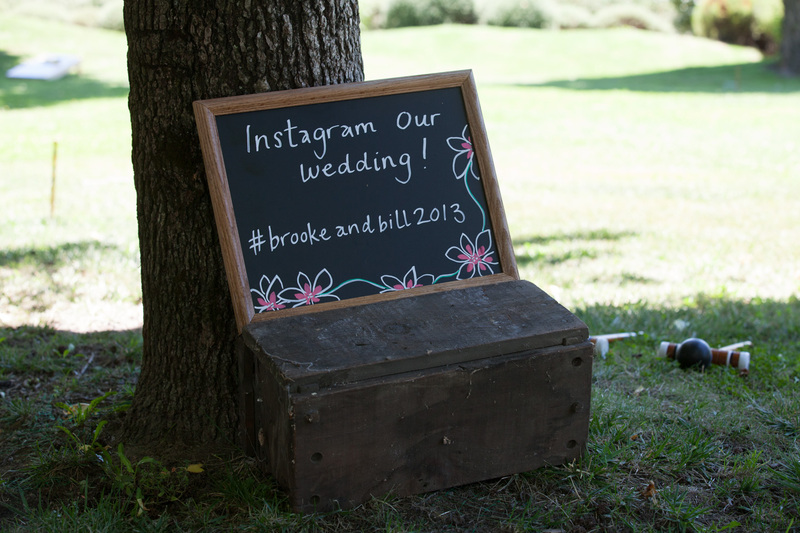 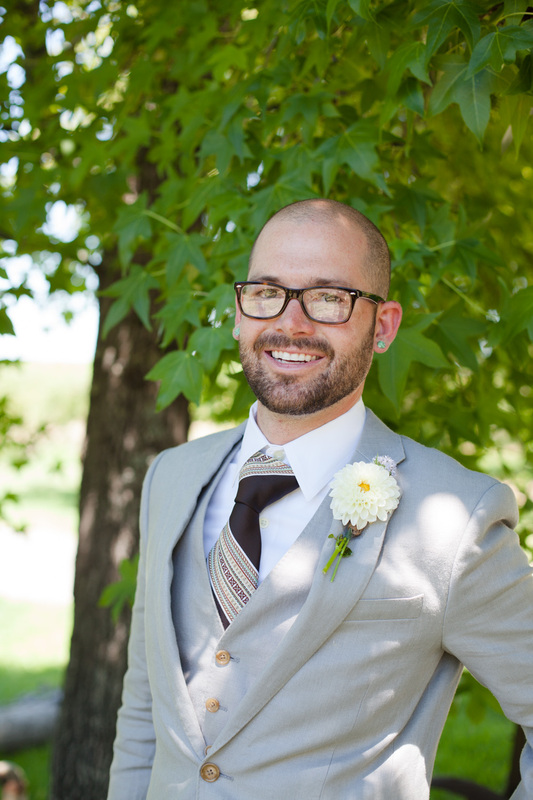 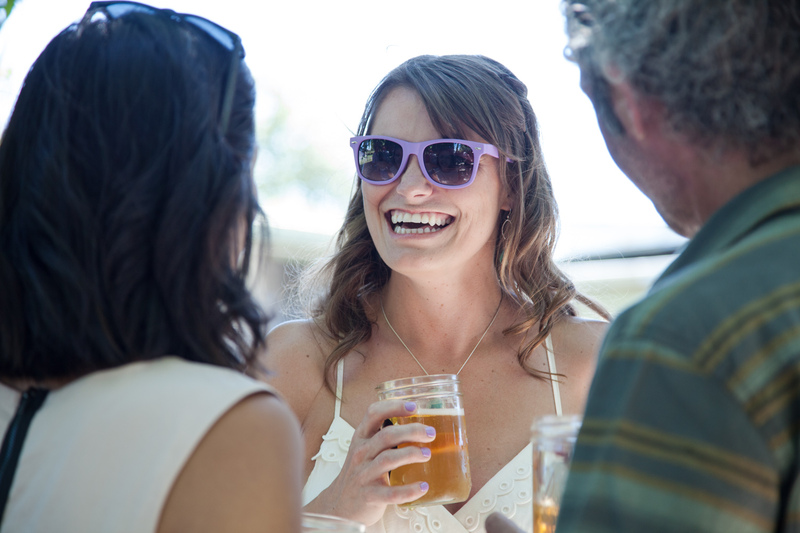 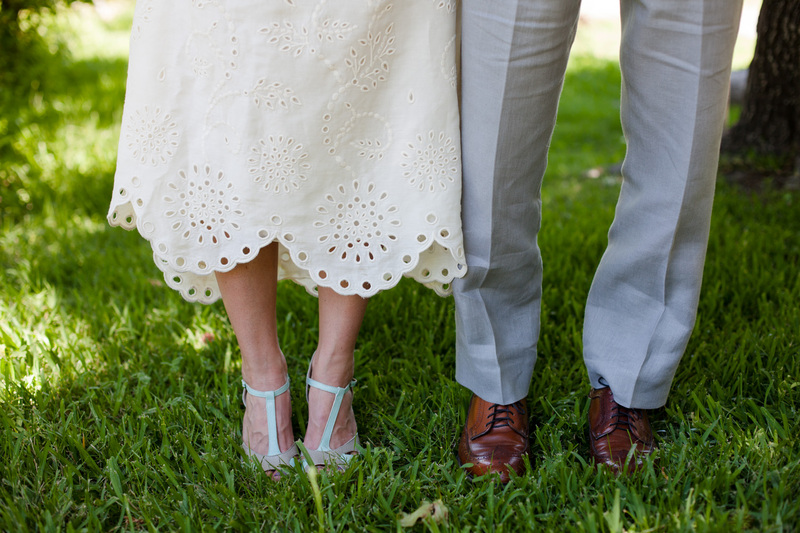 The theme for Brooke and Bill’s wedding was laid-back fun. 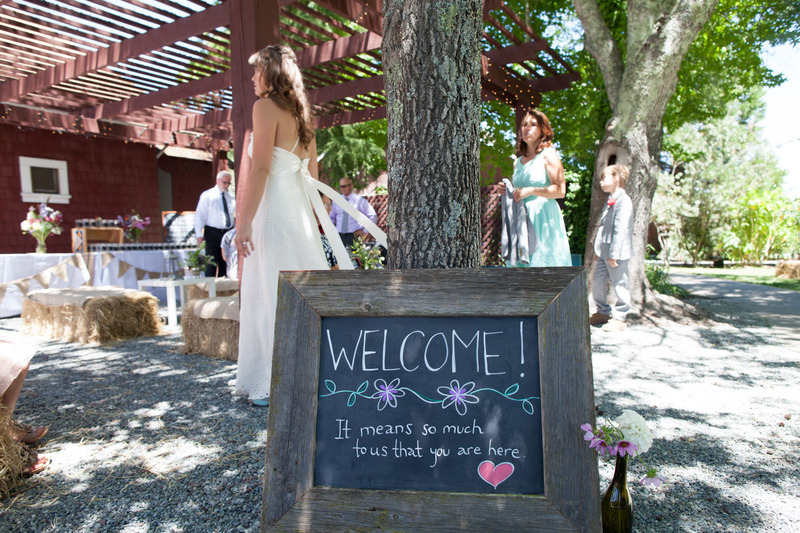 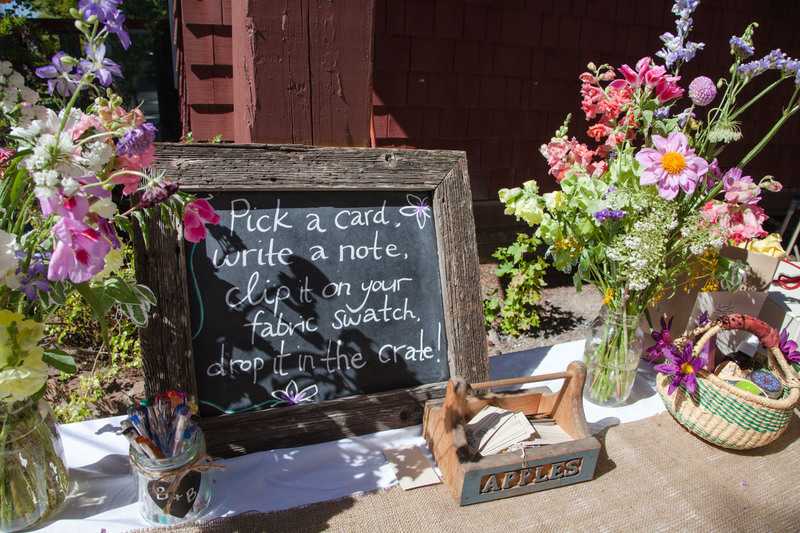 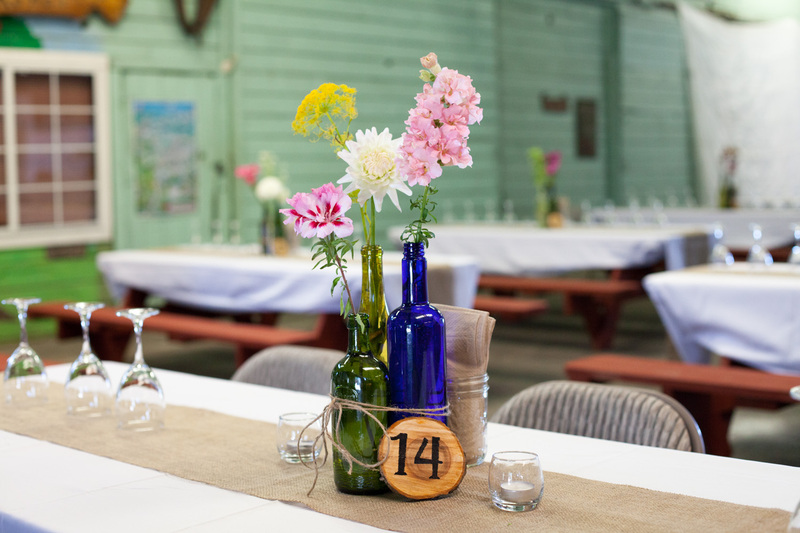 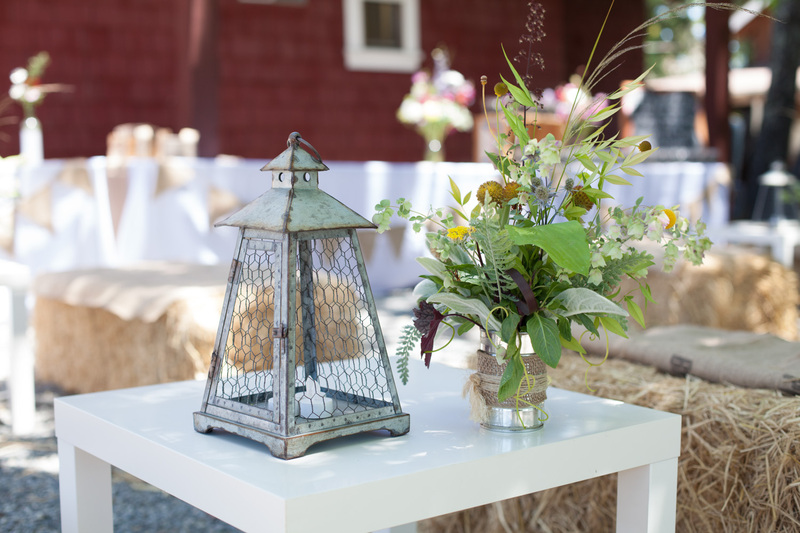 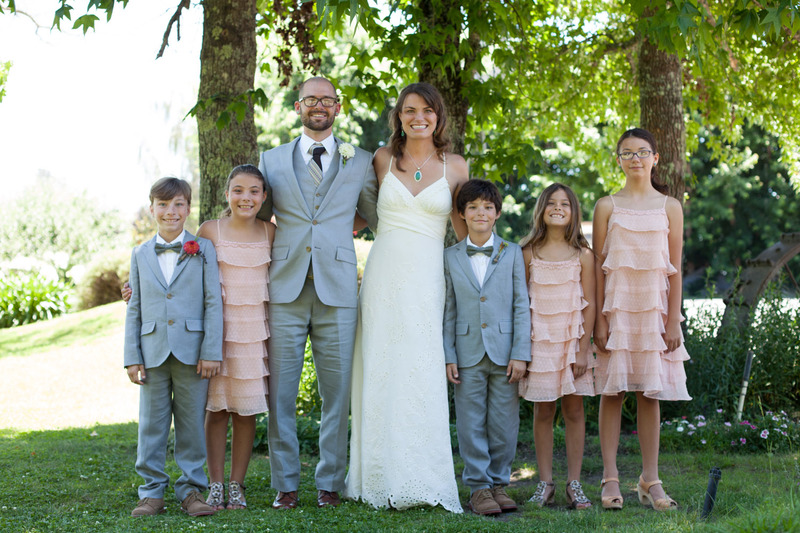 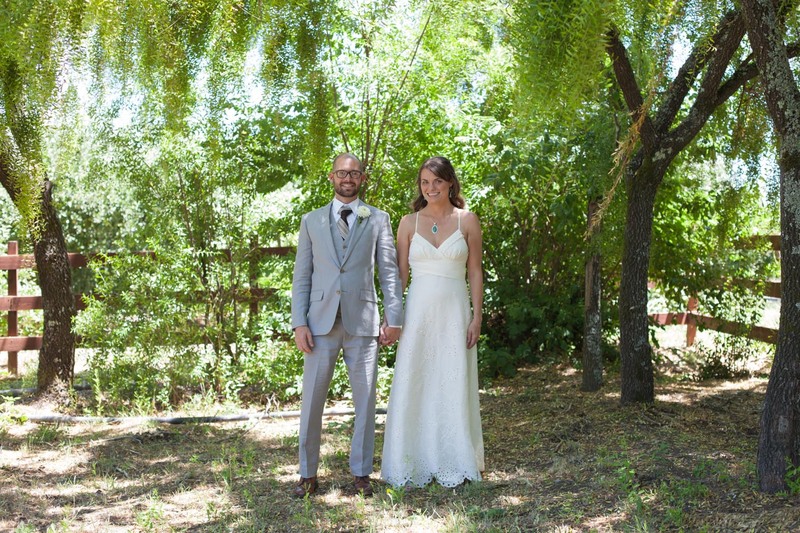 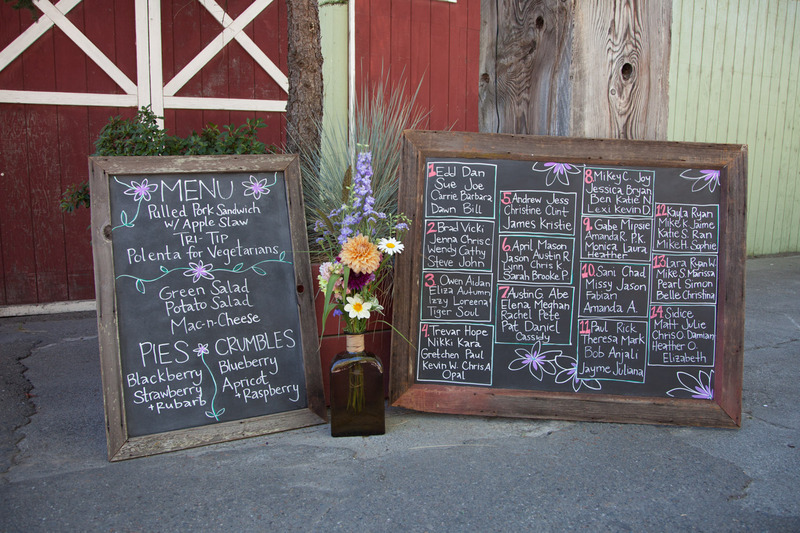 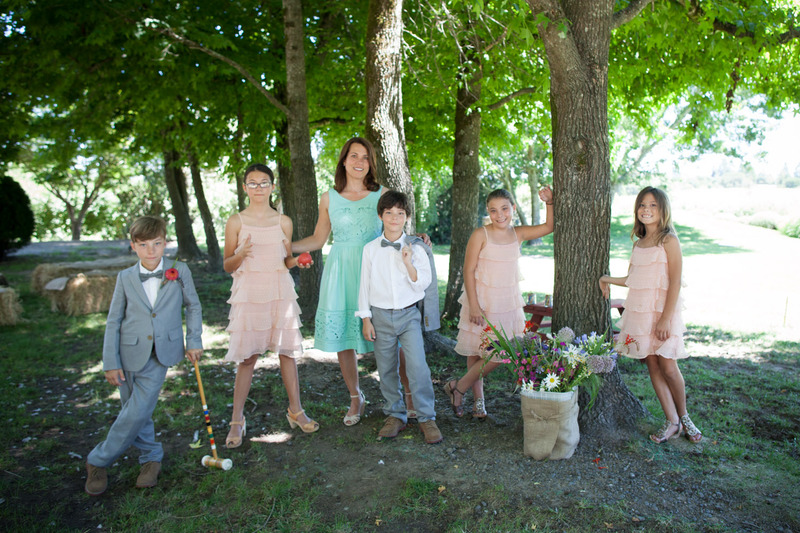 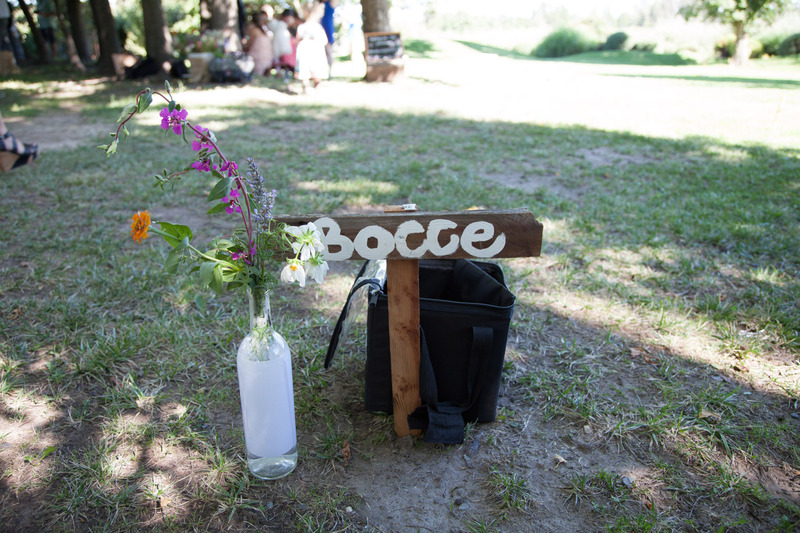 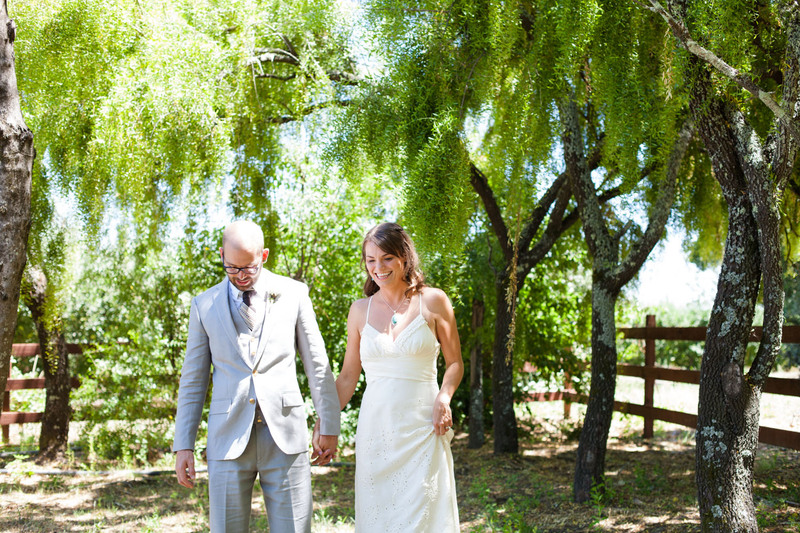 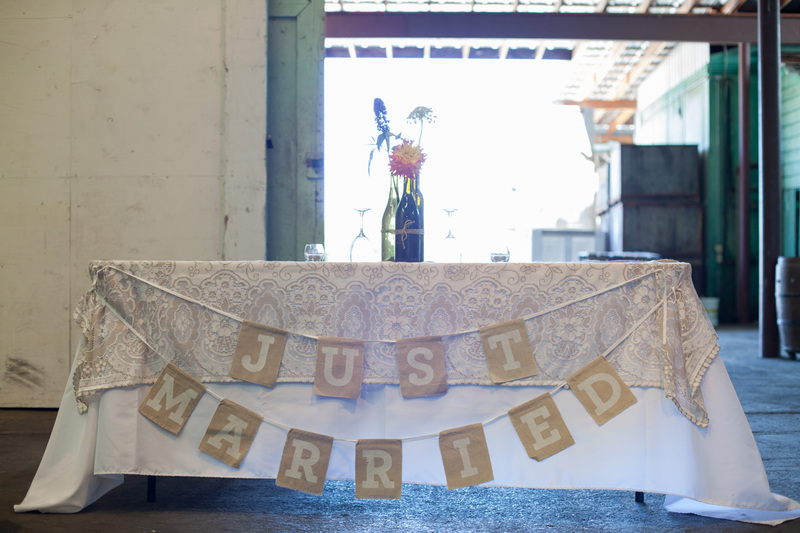 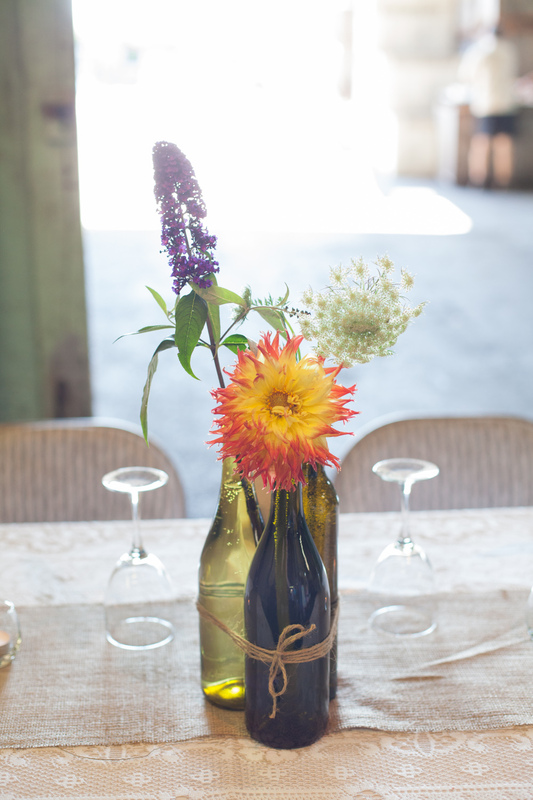 This low-key couple featured fresh cut flowers in mason jars and colorful bottles, paper lanterns, hay bale seating and lawn games at their Sebastopol wedding venue. 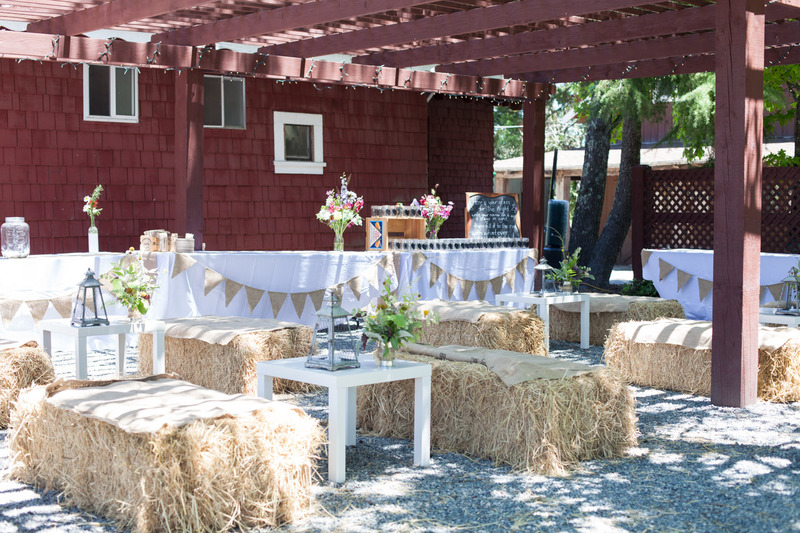 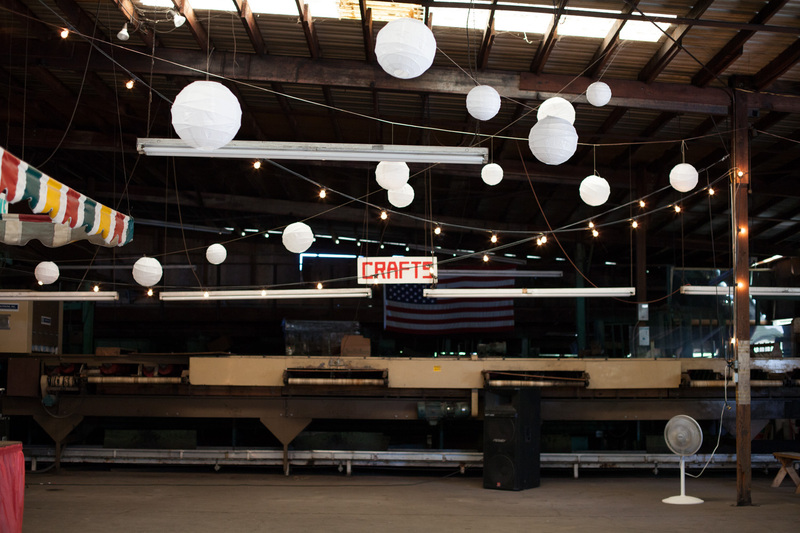 When I first met with them, Brooke said she really wanted everything to be simple, and their focus was on creating the best, most fun day for their friends and family. 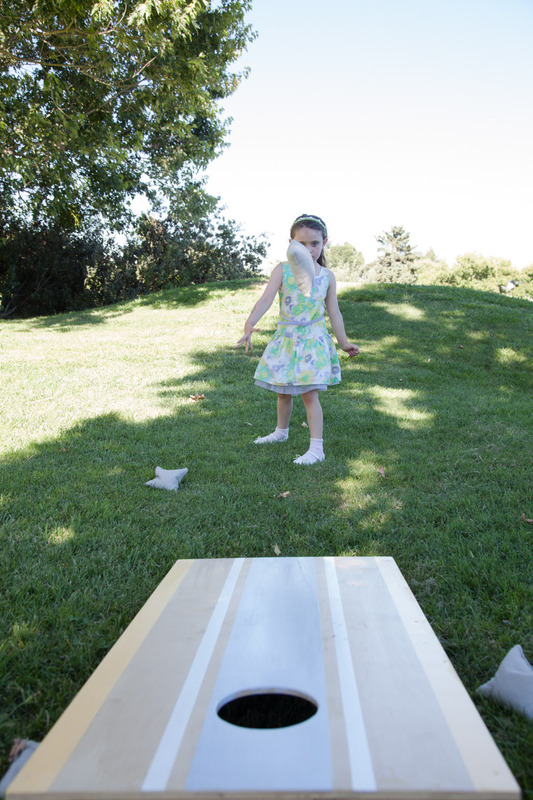 Bill was excited about the lawn games, and was looking forward to having their college friends in town for the event. 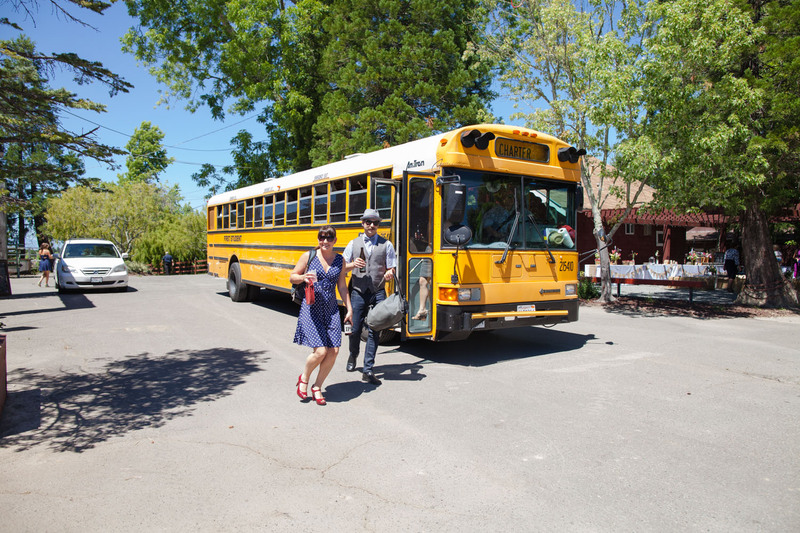 With a shortage of parking at their venue, Twin Hill Farms in Sebastopol, they hired a yellow school bus to ferry folks in from town. 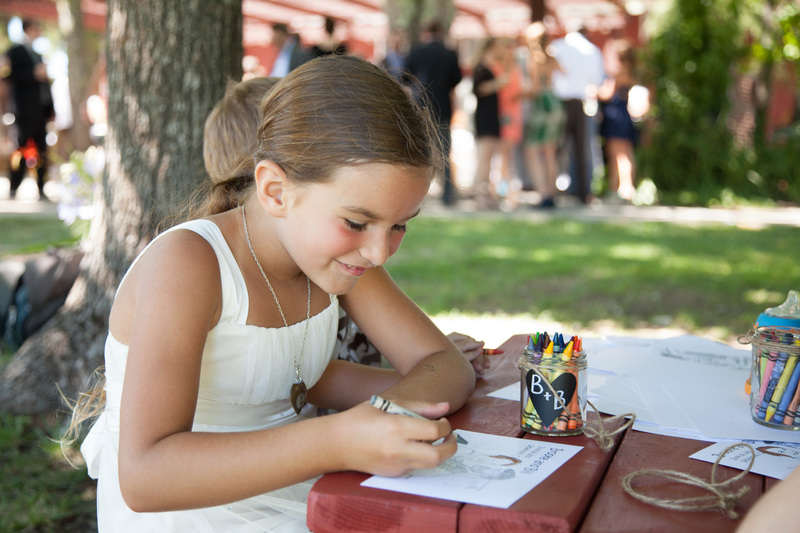 They also had a kids entertainment station with colored pencils and the cutest coloring book style images of themselves! 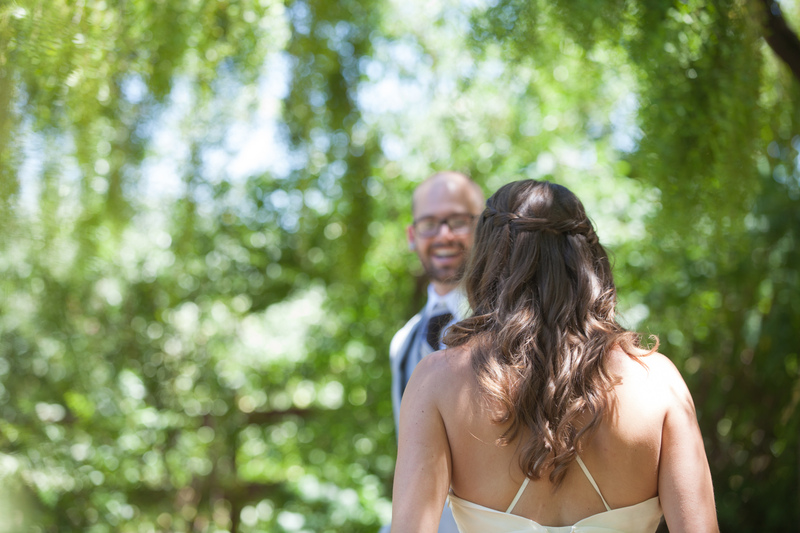 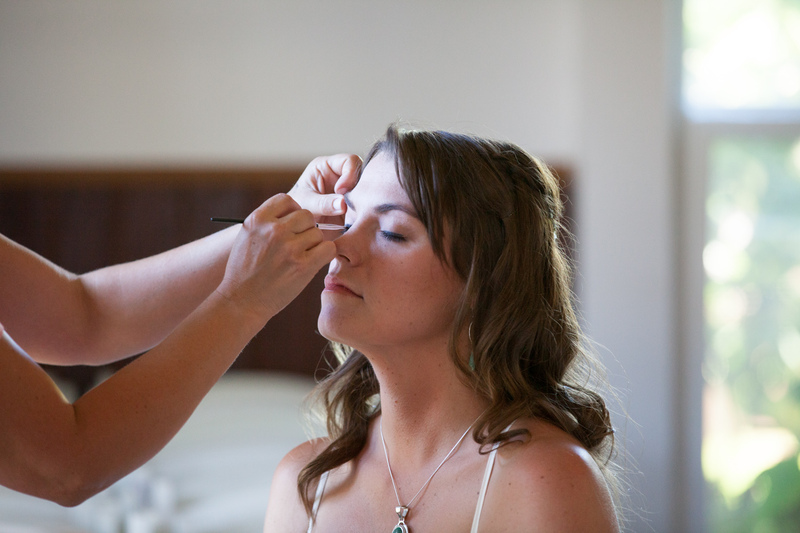 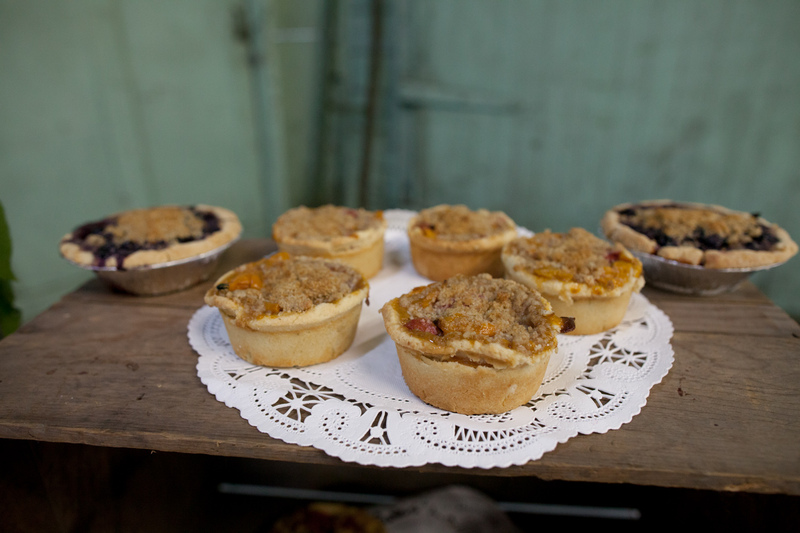 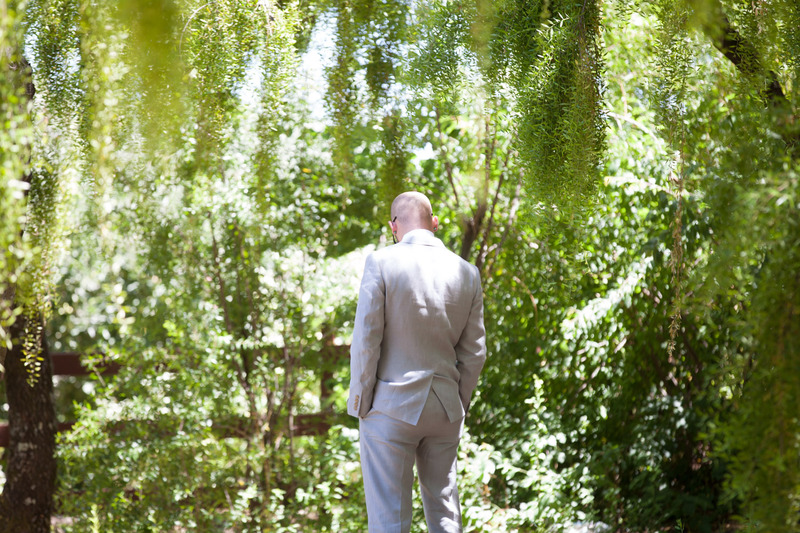 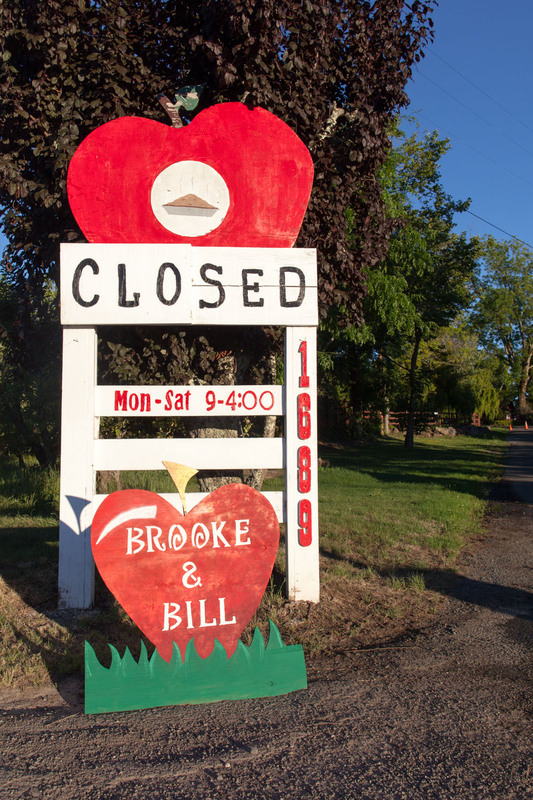 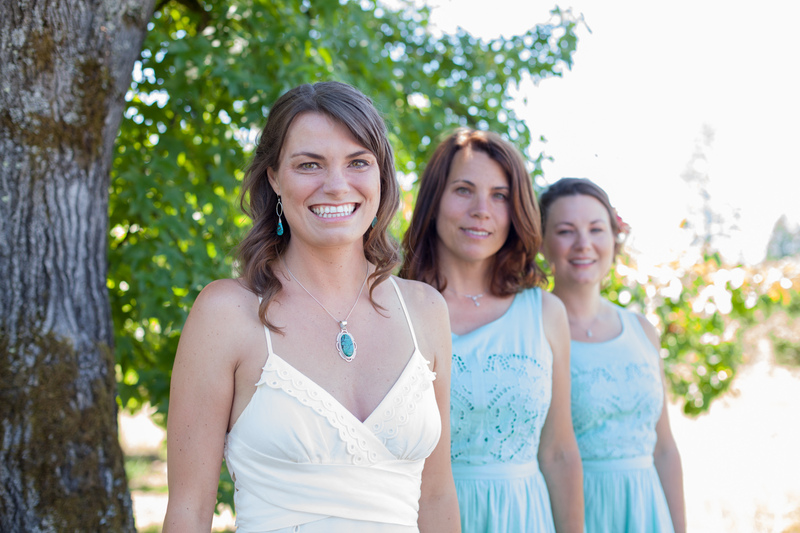 The apple farm was the perfect venue for their wedding, and it was a joy to work with Brooke and Bill.